Every woman in our parish should be either an active or inactive member of the ARS. Our annual dues are $5.00 per year. We also ACCEPT DONATIONS. COME JOIN US!!! We would love to see some new faces!!! The Altar & Rosary Society will meet on Monday, April 1st at 1:30pm in Sr. Joan’s Room. All women in the parish are welcome to join us! For questions call Sandy Musso, President, at 544-1741. 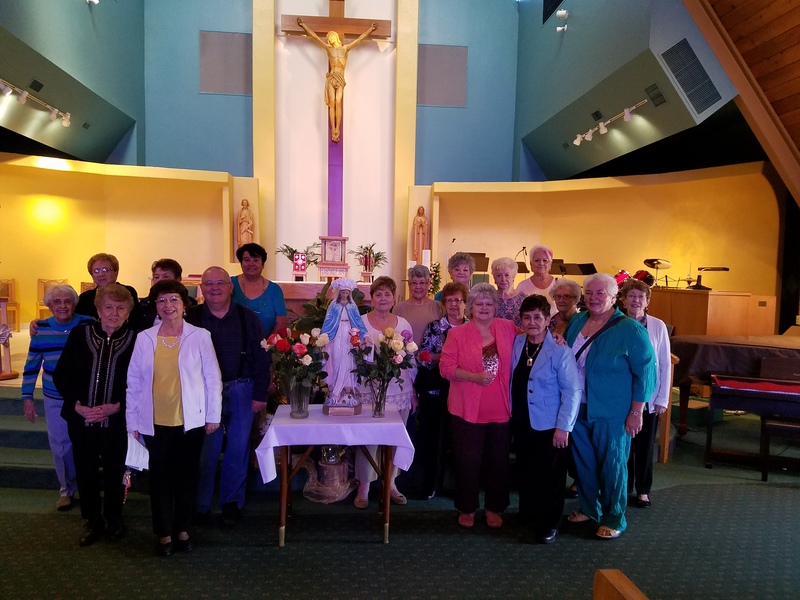 Knights of Columbus Rosary Program integrated with CTK Catholic Connection Sundays on September 30, October 28, November 25, January 27 and February 24 from 9:30am to 10:30am in the Little Flower Formation Center. The Knights of Columbus, Council #4286 is hosting a 4 man scramble golf tournament July 26th, 8:30 a.m. at the Pueblo Country Club. $400 a team. Call Nick Toczek 307-256-3090 to register or help sponsor this event. Watch for more upcoming events.